At each Sunday Service Unitarian Universalist Society: East (UUS:E) members and friends have the opportunity to share their joys and concerns with the congregation. 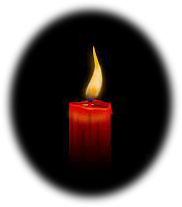 Light a Candle is an online extension of that dialogue…a place for sharing joys and concerns for members and friends of UUS:E.
Click on the small candle to the left or click here to light a candle. After a candle is submitted and approved, the message will appear below within a day or two. To see if messages regarding the same person are sequenced together. Not really a requirements There is no ability to sort messages by topic. I am lighting a candle for the victims of the shooting and their families. I pray that they may find comfort and solace in this difficult moment. I also hold in my heart the shooter and his family and pray that they may find love and support in the midst of their anguish as well.